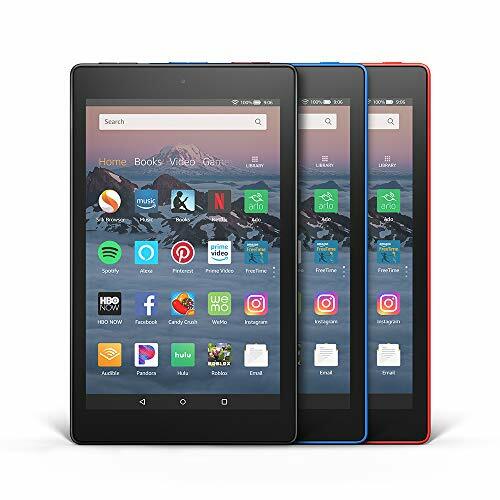 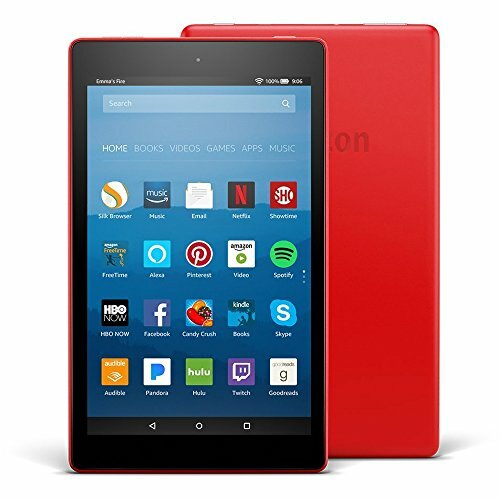 Includes the latest Fire HD 8 Tablet with Special Offers, 16GB, Black ($79.99), Amazon Cover ($29.99), and Nupro Screen Protector, Clear ($12.99). This bundle includes the Fire HD 8 Tablet with Special Offers, 16GB, Marine Blue and the Amazon Standing Case (Charcoal Black) for Fire HD 8. 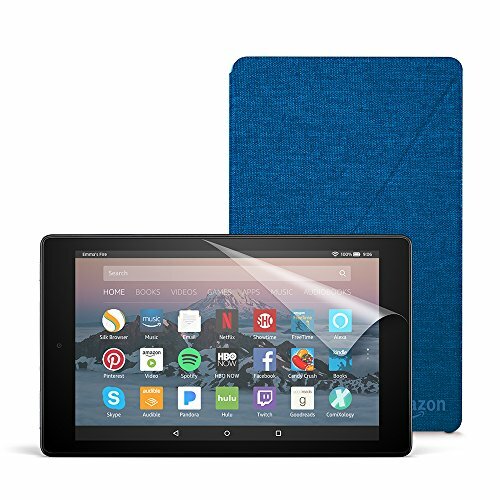 The Amazon Standing Case is designed by Amazon to protect your Fire HD 8 and with built-in stand for hands-free viewing in landscape or portrait orientation. 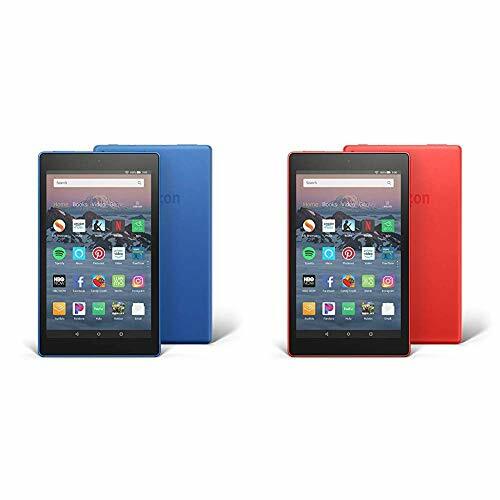 This bundle contains one Marine Blue and one Punch Red Fire HD 8 (16GB). 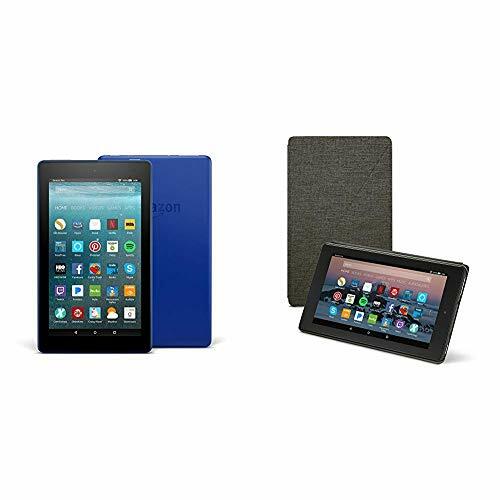 This bundle includes Fire 7 Tablet with Special Offers, 16GB, Marine Blue and the Amazon Standing Case (Charcoal Black) for Fire 7. 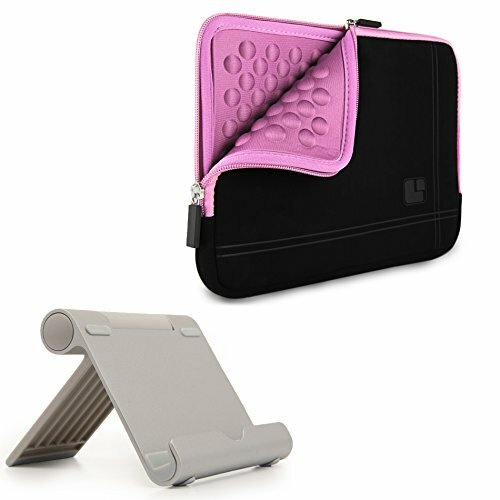 The Amazon Standing Case is designed by Amazon to protect your Fire 7 and with built-in stand for hands-free viewing in landscape or portrait orientation.